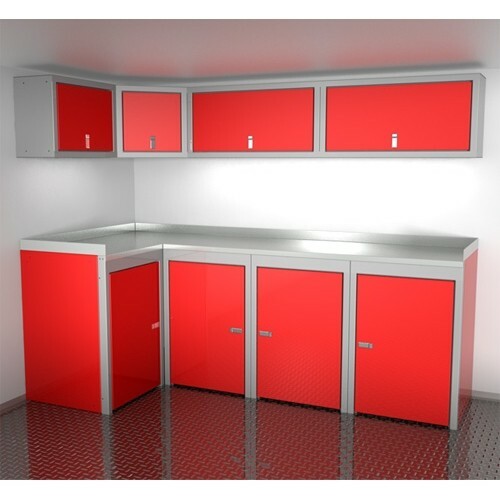 Cabinets are made from Military Grade Aluminum with high gloss finish. 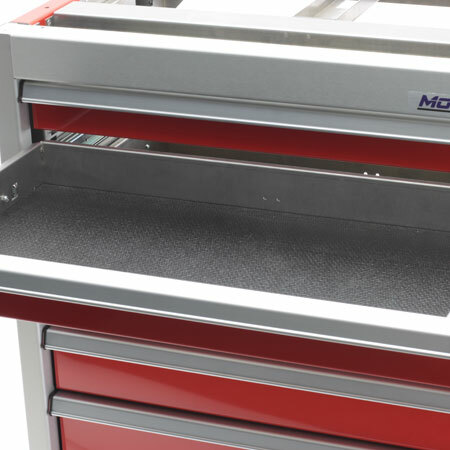 Solid 1/8″ Aluminum Countertop, with back and side splash guards. 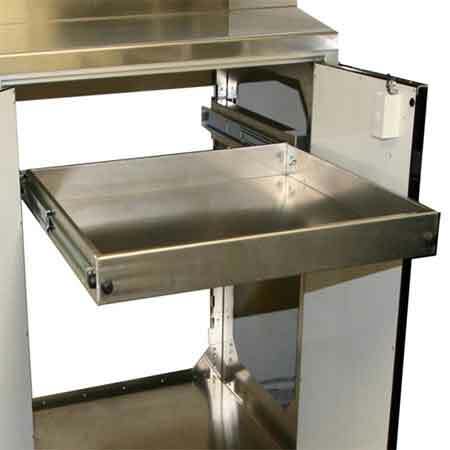 Overhead Cabinets include lift up doors with gas springs for ease of use. Lightweight aluminum keeps the weight down to reduce GVW. Overhead Cabinet top, bottom, sides and front frames are Light Gray high gloss finish to accent main color. 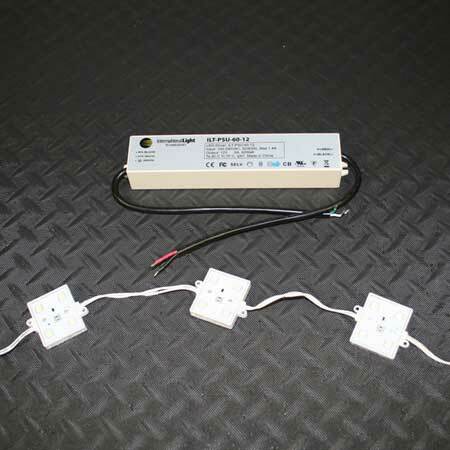 Easy to install with common tools. 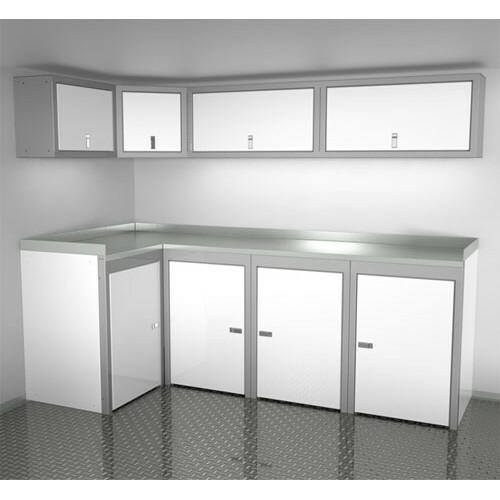 Doors available with either left-hand or right-hand swing on Base Cabinets. Doors are double wall construction, with inner-hat-bracing for maximum strength and rigidity. 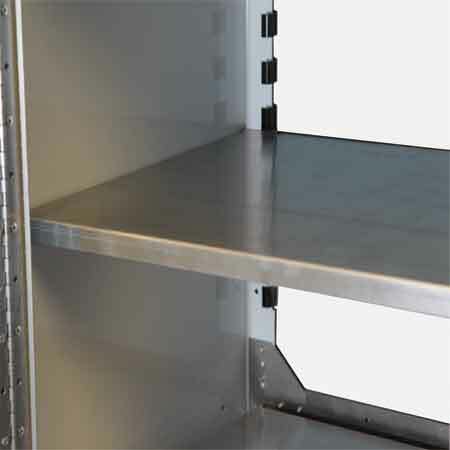 Doors are manufactured using .063″ thick high alloy aluminum outside and .040″ thick high alloy aluminum on inner panels. Full length continuous aluminum hinges provide complete support to the door structure. 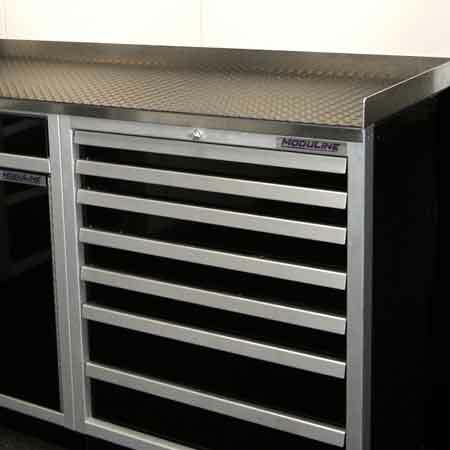 Open bottom front frame on Base Cabinets for ease of sliding heavy objects in and out. 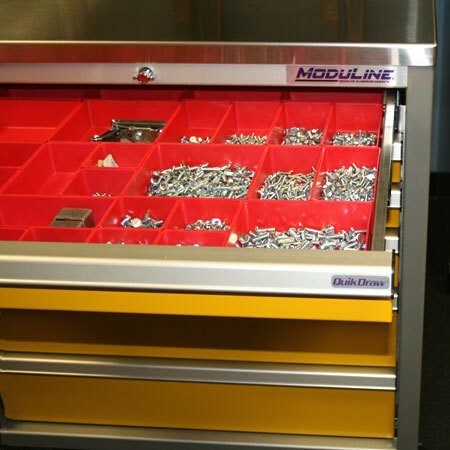 Fully adjustable Shelf System on Base Cabinets allows shelves to be adjusted in 2-1/4″ increments, accommodates Adjustable Shelves or Pull-out-shelves. 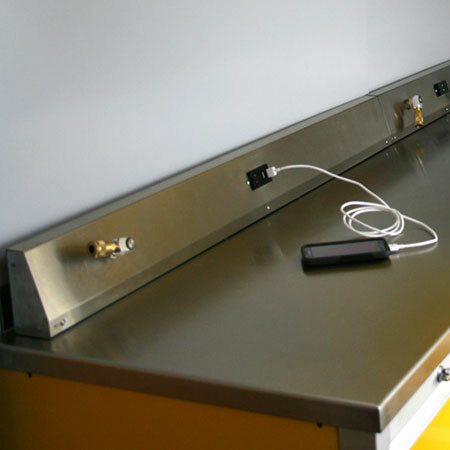 Adjustable Shelf included with all Base Cabinets. 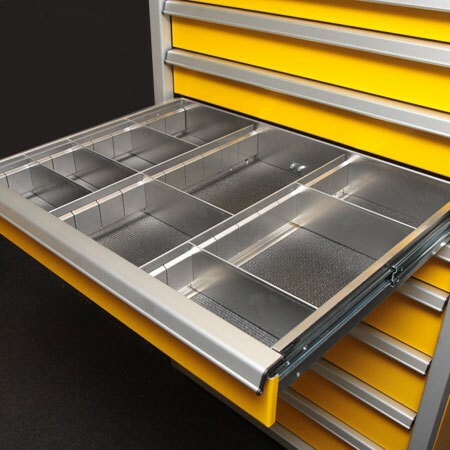 CAD and CNC assure precision cabinets providing a perfect fit. 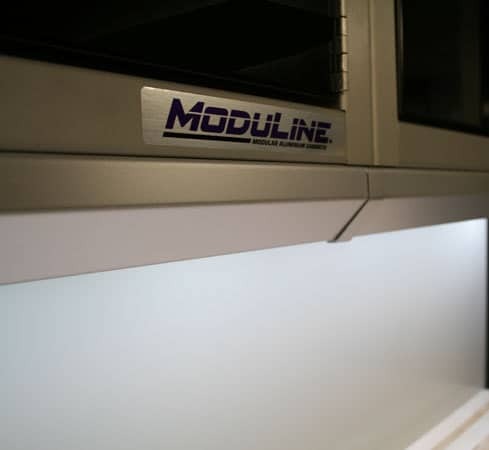 Completely hypoallergenic: Moduline Aluminum Storage Cabinets are constructed from materials that minimize the possibility of allergic response.